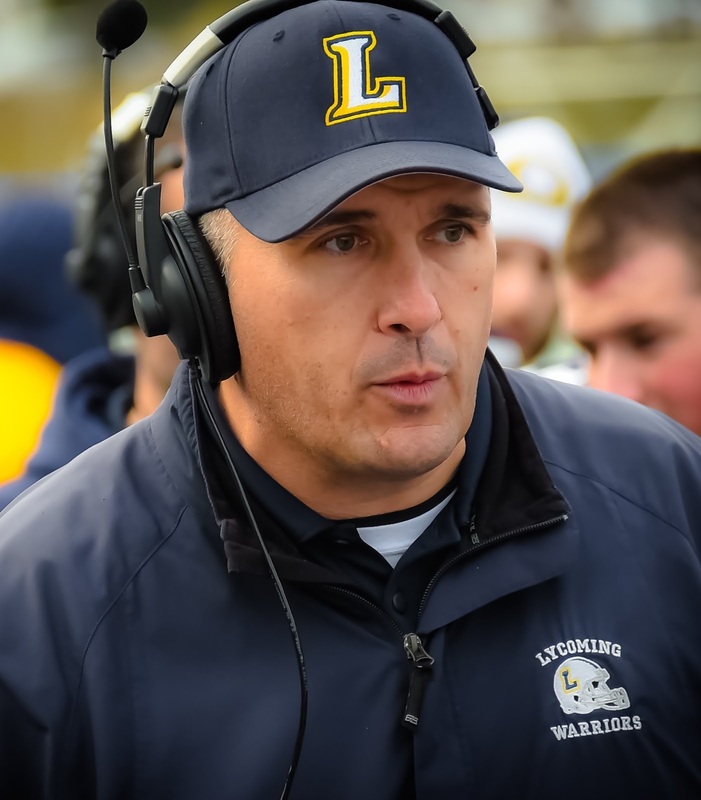 WILLIAMSPORT, Pa. – Lycoming College head football coach Mike Clark announced his completed coaching staff for the 2017 season on Wednesday, Aug. 9, including the addition of offensive line coach Sami Caygoz, assistant quarterbacks coach Pat Carey, linebackers coach Brian Kilbane, wide receivers coach Lumoi Muttu and the return of defensive line coach Steve Radocaj. In addition, Clark in his 10th year as head coach, will welcome back to his staff assistant head coach and defensive coordinator Steve Wiser (44th year), quarterbacks and special teams coach Tim Landis (fifth year), defensive backs coach and defensive passing game coordinator Mark Surma (second year), linebackers coach Chris Kish (sixth year), assistant offensive line coach Chris Long (second year) and assistant linebackers coach Jermaine Reyes (third year). A former All-Centennial Conference offensive lineman at Franklin & Marshall, Caygoz is set for his first season as an offensive line coach at Lycoming College in 2017. Caygoz comes to Lycoming with four years of experience as a collegiate coach, most recently at Valparaiso University, where he was a tight ends and fullbacks coach. At the Division I school, Caygoz helped evaluate film, create scouting reports and he helped with weekly game plans for the team. He also helped with the team's Community Service Program, as the team completed 600 community service hours in 2016. On the field, he helped the Crusaders jump from one win in 2015 to four in 2016. Prior to that, Caygoz was an assistant for two years at King's College, where he was the tight ends and fullbacks coach, helping assist the offensive coordinator in weekly game planning and also serving as a special teams assistant. Caygoz was a three-year letterwinner and starter at Franklin & Marshall, earning all-conference honors as a senior. He started all 32 games in his career. He also played one season at the University of New Haven. Caygoz, who earned a Bachelor of Arts degree in English from Franklin & Marshall in 2013, resides in Williamsport. A former professional quarterback in Germany, Carey is set for his first year with the Warriors, where he will serve as an assistant quarterbacks coach. Carey spent four seasons in Germany, playing with the Munich Cowboys for parts of two seasons and the Ingolstadt Dukes for parts of two seasons. 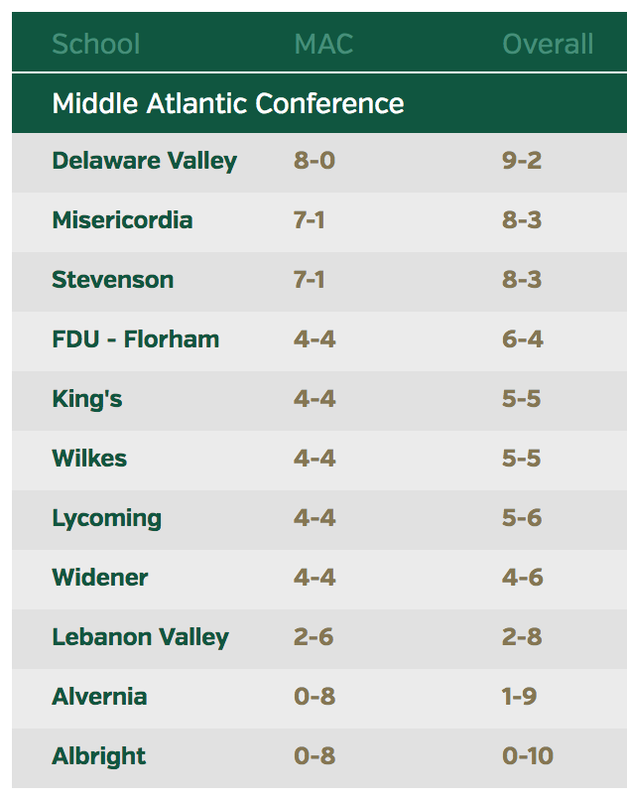 He led the Dukes to a 14-0 record and a league title in his final year with the team in 2014. A Williamsport native, Carey was a standout quarterback at Division II Bloomsburg University, where he led the Huskies to a 19-5 record, including one PSAC East title and a berth in the NCAA playoffs. Carey finished his career with 3,647 yards passing, eighth best in school history, and 37 touchdowns, tied for fifth most in school history, in just 24 games after transferring from Lafayette. Carey, whose father, Dr. Pat Carey has served as Lycoming’s team physician since 2000, earned a Bachelor of Arts in communication studies from Bloomsburg in 2012. He is currently a managing partner with MCI Brand Solutions. With six years of coaching experience, Kilbane will begin his first year as the Warriors’ linebackers coach in 2017. Kilbane worked with the Dickinson’s outside linebackers and assisted with all aspects of recruiting in 2016. Prior to Dickinson, he worked for two years at King’s (Pa.) as the director of football operations, video coordinator and outside linebackers coach. Kilbane also served as a student assistant coach at Towson University from 2011-14. During his time at Towson he worked with the team’s quarterbacks, running backs, wide receivers, and offensive linemen. He assisted the team’s video coordinator and worked closely with the Director of Football Operations in a variety of ways, including assisting in conducting walk-on tryouts. A native of Olney, Md., Kilbane earned a Bachelor of Science degree in sports management from Towson University in 2014. After earning his master's degree while helping the East Stroudsburg football team, Muttu is set for his first year as a wide receivers coach with Lycoming in 2017. Muttu spent the past two years as an offensive assistant at East Stroudsburg, where he assisted the receivers coach with position drills and other daily duties. He also fulfilled several other administrative duties with the Warriors, including recruiting assistance, film breakdown and travel necessities. Prior to that, Muttu spent four years as the assistant wide receivers and defensive backs coach at Loyalsock Township High School while he also worked towards a pair of degrees from Penn College. Muttu has a Bachelor of Science in business technology management from the Pennsylvania College of Technology (2014) and he finished a Master of Science in Sports Management from East Stroudsburg in 2016. Radocaj begins a third tenure with the Lycoming staff, as he will once again work primarily with the defensive line. A legendary area coach, Radocaj coached what the Sun-Gazette named the decade’s best area prep football team in the 2001 Williamsport squad. Radocaj has previously served as an assistant coach for the Warriors for eight seasons, first working with the squad from 1998-99 before moving on for a stint as head coach at Williamsport Area. In 2008, he came back to the Warriors, coaching the defensive line and helping the team win a MAC title in Coach Clark’s first year with the program and served for six more years before stepping away after 2013 and a second MAC title. He oversaw a resurgence in the Warrior defense, helping the team finish in the top 10 in Division III in scoring twice in his second tenure years, including finishing fourth in scoring defense (12.4) in 2012. In 2011, the d-line helped pace the Warriors, which led the MAC in nearly all defensive categories and finished in the top 10 in the nation in pass efficiency defense (77.59), total defense (214.4), scoring defense (12.6), turnover margin (1.8) and pass defense (130.0). During his latest tenure with the Warriors, Radocaj helped mentor 10 all-conference linemen and four all-region selections, plus two All-Americans and 2011 MAC Defensive Player of the Year Anthony Marascio. Besides football, Radocaj has also coached track and field and wrestling at Williamsport. Radocaj, who was the 1980 Male Athlete of the Year at his alma mater, Mansfield University, has a wife, Linda, daughter, Ruby, and son, Marco.